Any time a major studio reboots a popular franchise, there will likely be more backlash from haters than there will be praise from fans. Sony's upcoming Ghostbusters is no different, and now that production has wrapped, director Paul Feig has started responding to his haters on his official Twitter page last night. While you normally don't see many filmmakers striking back at their detractors, some of these individuals had been harassing the filmmaker and his cast all through the production. Sony had been developing a Ghostbusters sequel for years, with writers like Gene Stupnitsky, Lee Eisenberg and original Ghostbusters star Dan Aykroyd taking cracks at the script. The project never moved forward into production, though, until Paul Feig came on board to pitch a much different take, with an all-female cast. Sony eventually gave the green light to this project, bringing Paul Feig on board to direct and co-write the script with Katie Dippold, who wrote the filmmaker's 2013 comedy The Heat. Kristen Wiig, Melissa McCarthy, Leslie Jones and Kate McKinnon came on board to star as the new Ghostbusters, with Chris Hemsworth, Andy Garcia, Michael K. Williams, Matt Walsh, Pat Kiernan and Neil Casey rounding out the cast. The female-lead cast was scorned by many fans on social media throughout pre-production and principal photography. The director revealed last night that one such hater has been "ranting" at himself and the cast for months with "misogyny and insults," prompting last night's series of tweets where he defended the movie, his cast and the story they are telling. The filmmaker also addressed the media, revealing that any cameo announcements were not official and leaked from the set, which was "overrun by paparazzi." During the course of the production, it was revealed that original Ghostbusters stars Bill Murray, Dan Aykroyd and Ernie Hudson had come aboard for cameo appearances. It's worth noting that Ernie Hudson said in an early interview that he thought an all-female Ghostbusters team was a "bad idea," but a few months later, once the cast was announced, the actor changed his tune, calling the cast "phenomenal." Sony Pictures has set a July 15, 2016 release date for Ghostbusters, putting it up against Lionsgate's La La Land and EuropaCorp's The Lake. 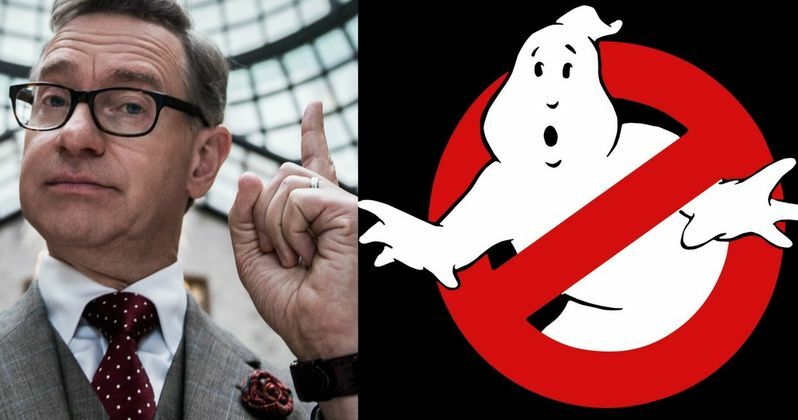 Some filmmakers like Josh Trank have gotten into hot water for their statements on social media of late, but there likely won't be any backlash against Paul Feig for defending his movie from a group of hateful individuals. Take a look at the filmmaker's series of tweets below, and stay tuned for more updates on Ghostbusters. Gang, everyone should know that any and all cameo announcements are leaks and nothing we wanted made public. Media, please take note. I only announced @Ernie_Hudson as a cameo because our set was overrun by paparazzi. I really wanted these cameos to be surprises. Just FYI.